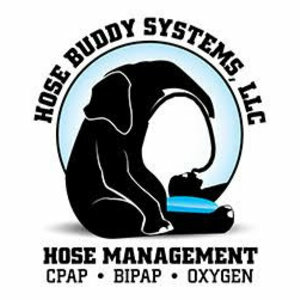 Hose Buddy is a CPAP hose management system which holds the hose in a comfortable upright position, away from your neck and shoulders. Looking for a lighter model suitable for traveling? 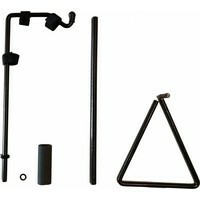 Have a look at the Travel Buddy. For whom is the Hose Buddy suitable? For the CPAP user who is "fighting" the CPAP hose during the night and hence can not move freely and comfortably. 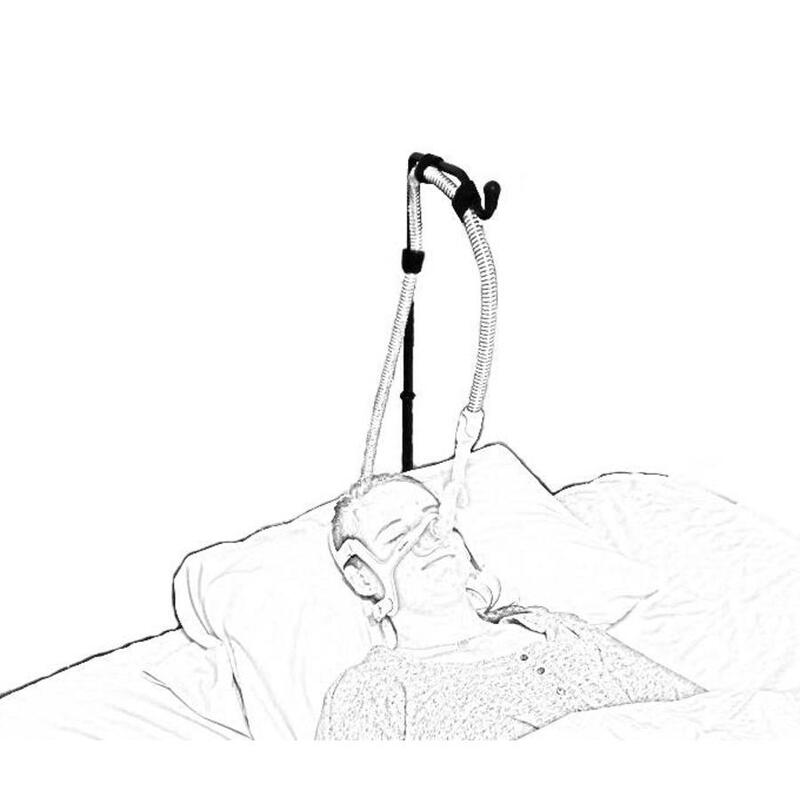 The Hose Buddy allows you to roll over or change sleeping positions without becoming entangled with your CPAP hose. 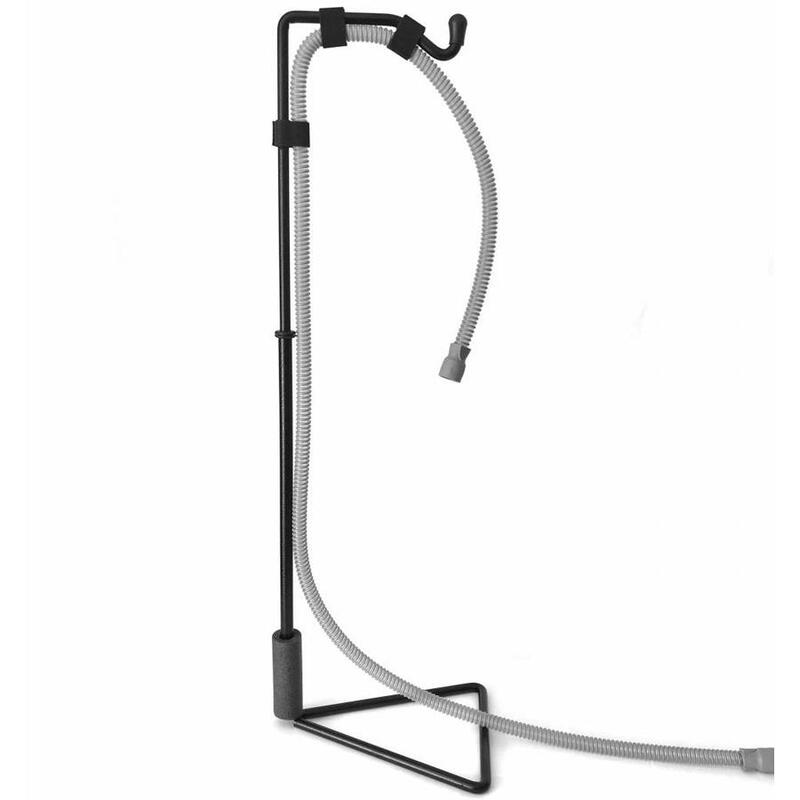 The Hose Buddy hose holder helps end the hassle of rolling over on your CPAP hose in the middle of the night. It is a CPAP hose management system device that holds the hose in a comfortable upright position allowing you to switch positions easily during the night. 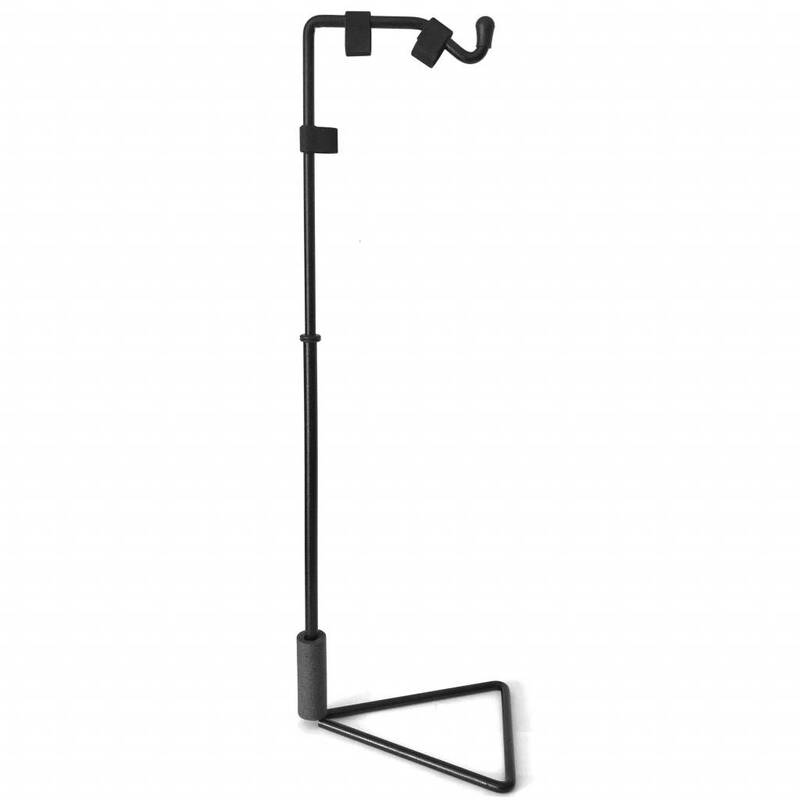 The Hose Buddy has a swivel arm that swivels back and forth as you turn, keeping you from rolling over on the hose or having to wake up and make adjustments during the night. Hose Buddy is made out of American steel and consists of just a few components. 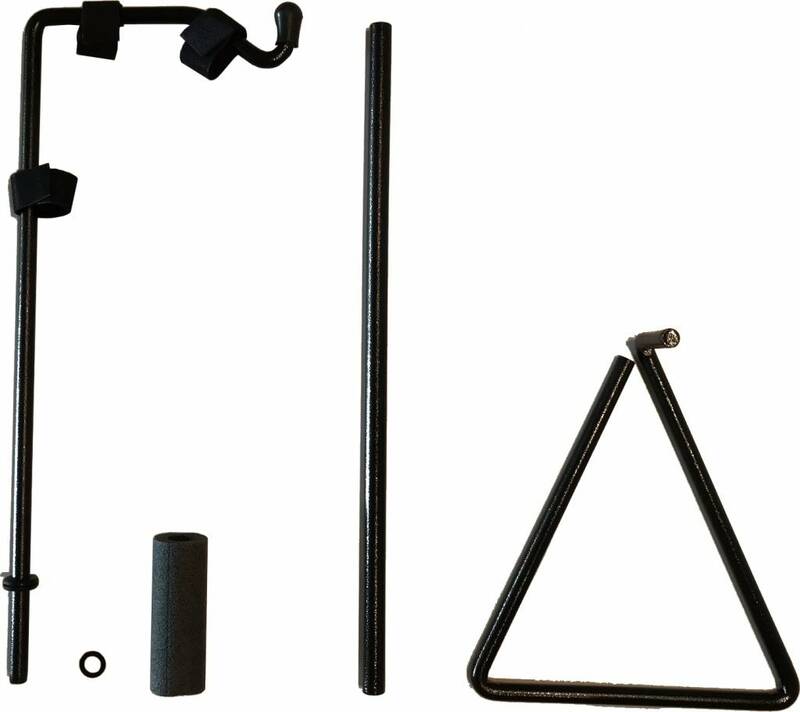 The Hose Buddy is completely maintenance-free and easy to assemble. 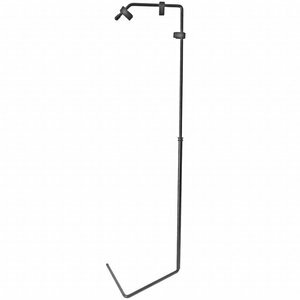 The Hose Buddy features a foam protector that helps prevent headboard damage. The Hose Buddy weighs about 2 kg and is height-adjustable. The maximum height of the Hose Buddy is 90 cm. At the end of the swivel arm there is a hook, which you can use to hang your mask on. 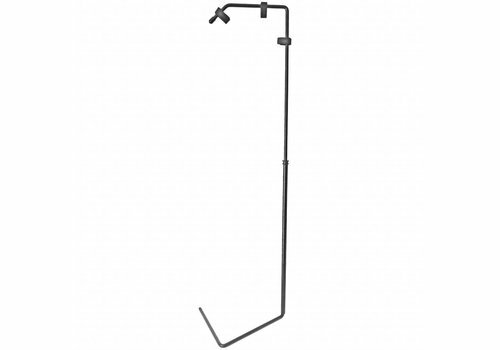 Elevating your CPAP hose helps prevent water condensation from developing in your hose or mask by providing a clear pathway through which air can travel. All you have to do is insert the stand under your mattress. 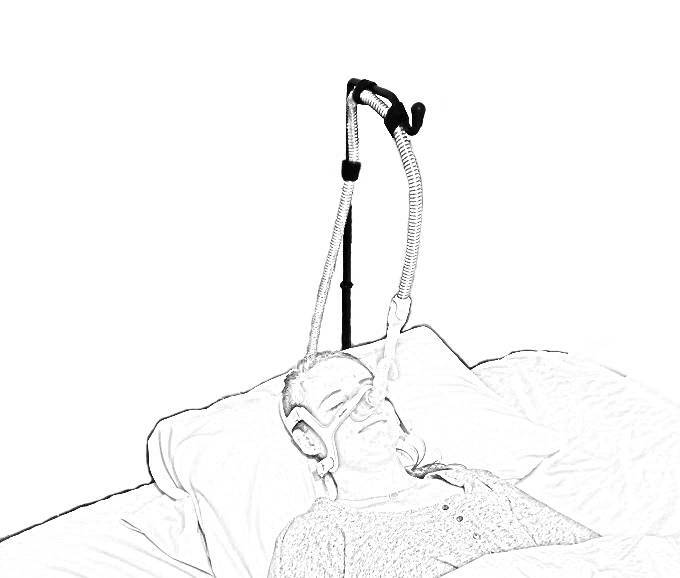 It is recommended to raise your CPAP hose directly over your head by placing the Hose Buddy at the top side of your bed. 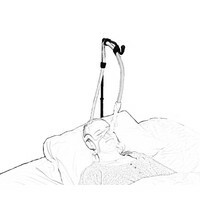 The Hose Buddy has a swivel arm that allows you to move freely while asleep and it eliminates the possibility of waking up with a hose wrapped around your neck.